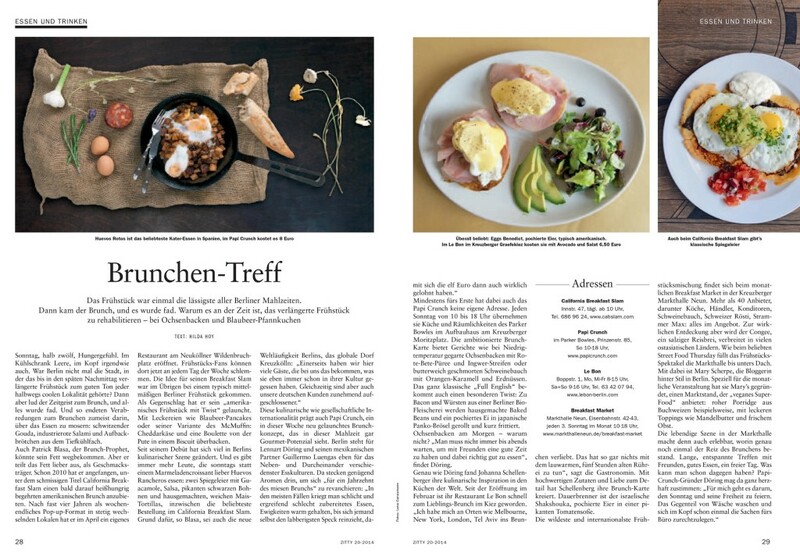 For Zitty, a weekly Berlin magazine with a circulation of 35,000, I write in German about new restaurants and trends in the local food scene. 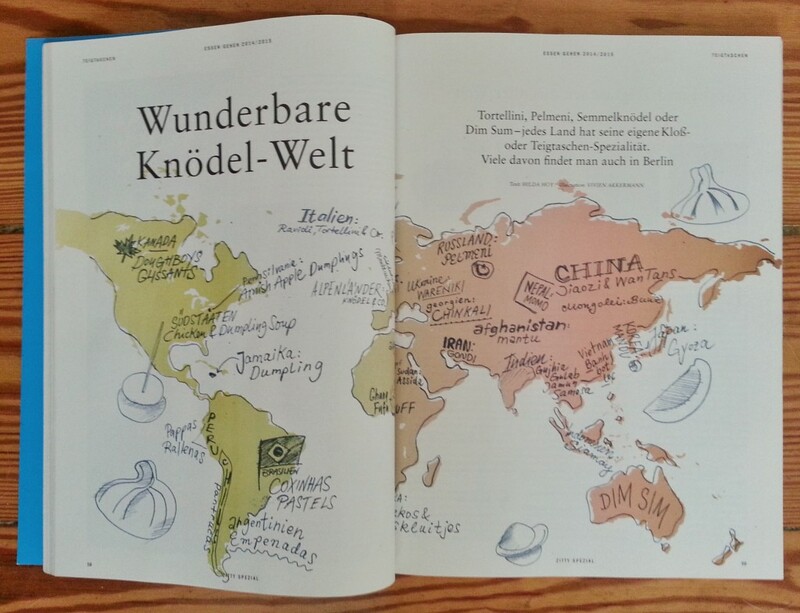 Features have included a story about a Ghanaian supper club, a trend piece about a smattering of new and inventive dumpling restaurants around town, and for the annual “Essen Gehen” city dining guide, a world map of all the international dumpling varieties one can eat around the city. Yes, I really do love dumplings that much. Fancy practicing your German? Click here to read the brunch article pictured above right (link opens PDF). 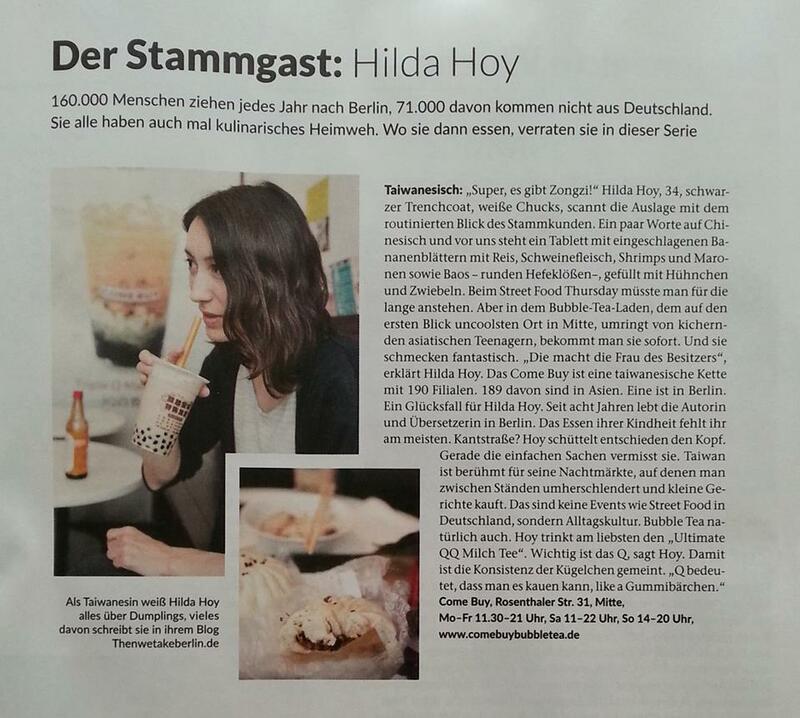 In June 2015, I was profiled in the magazine’s new “Der Stammgast” column, which reveals insider food knowledge from international Berliners. My hot tip: where to find the best Taiwanese snacks and bubble tea.